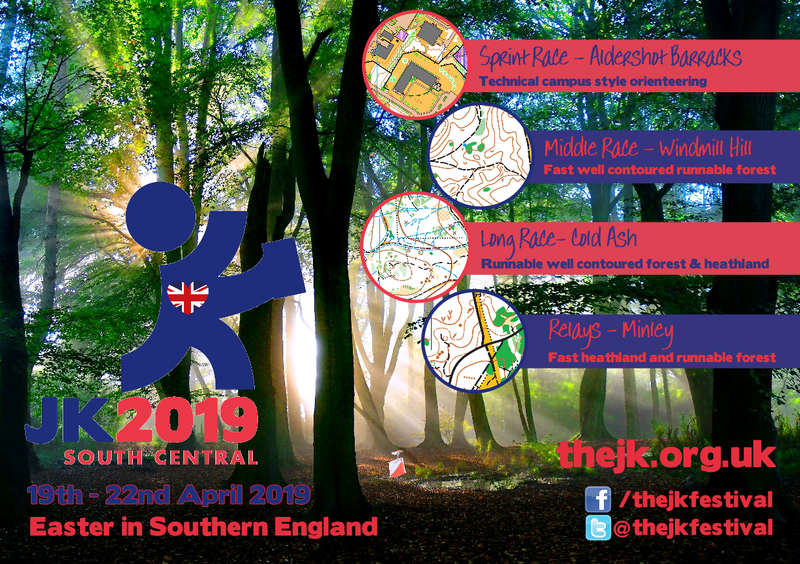 The South Central Orienteering Association welcomes you to the JK 2019. This website aims to give you all of the information that you need regarding the event which takes place from 19th April to 22nd April 2019. Lost something ? See our Lost Property news item for details of items found after competition days. Please provide as much detail as possible about your enquiry in order to help us to provide the best answer. Pre-entries are now closed, but there will be some limited entry at the JK weekend. See our How to Enter page for details. Date Format Location Postcode OS Ref. 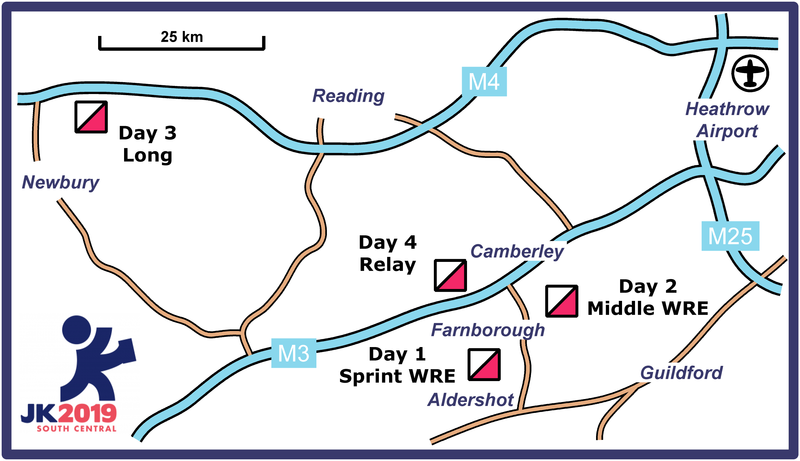 The following MAP shows embargoed areas for competitors. Please note that these areas should only be accessed along public roads, prior to the event. All days will use Emit Touch Free. Emitags will be provided at no extra cost, to be collected together with bibs. There will be the opportunity to practise punching and view demonstration controls each day. One of the first things you may like to know, is where the local campsites are close to the competition areas. These are summarised on the Campsites page on this site. There will be no event accommodation or event transport provided.